EML files are the electronic mail files, which is consisted of the email message, email attachment, text formatting, HTML links, email components, and more. 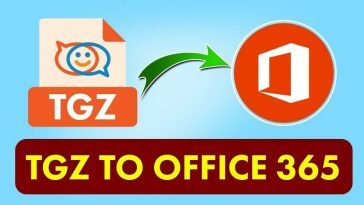 This file format is developed Microsoft but nowadays there are a huge number of email applications which supports to save their database into the .eml file format such as Windows Live Mail, Outlook Express, Mozilla Thunderbird, eM Client etc. OLM file also called as Mac Outlook Archive file. This format is also developed by Microsoft. OLM file is supported and created via Mac Outlook 2016, 2011 editions. Mac Outlook users can export their data in OLM format by clicking on the Export option, available in Outlook for Mac application. Run EML to OLM Converter and select the folder which contain .eml files. 2. Now, select the required destination path where you want to get the result. 3. At last, click on convert button to begin the conversion from EML to OLM. Import multiple EML files to OLM format at once. Convert EML emails to OLM with attachments. You can select the desired destination path easily. Mac OS is not required to run this application. Supports all the edition of Windows platform. EML to OLM Tool has a very simple user interface. The above blog has the information to import EML files to Outlook for Mac 2016, 2011 versions. The process to convert EML emails to Mac Outlook becomes very easy by using this EML to OLM converter. The software comes up with the free trial edition so users can get the safe and complete satisfaction before purchasing the license keys. The demo version of this product allows to convert 25 .eml files to .olm format, which is also helpful to understand the working process.